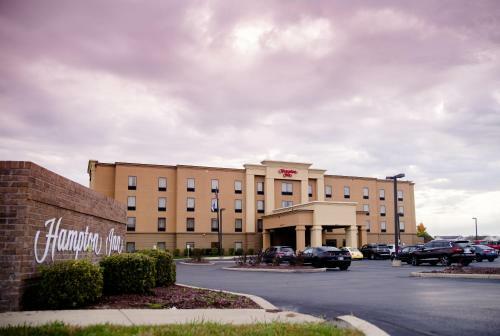 This Greenfield hotel is located not far from Riley Memorial Park. 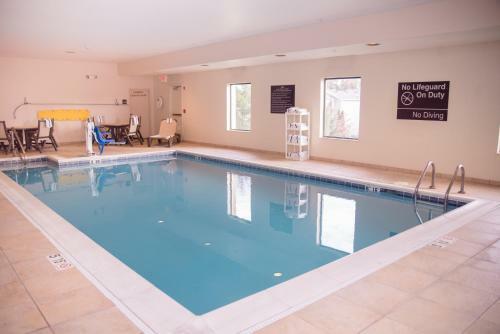 It offers an indoor pool and a daily breakfast buffet freshly prepared. 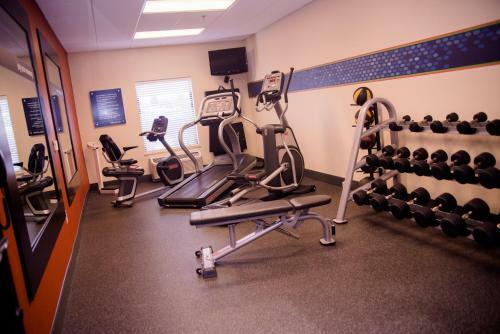 Hampton Inn Greenfield’s fitness area features modern equipment including cardiovascular machines. 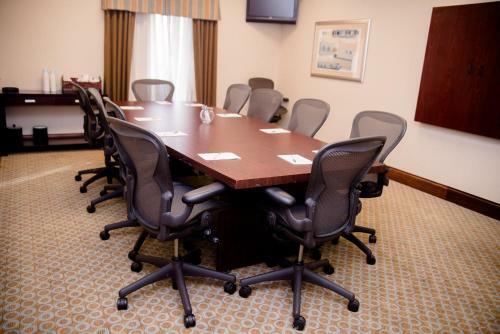 Guests can benefit from the 24-hour reception and the well-appointed business centre. 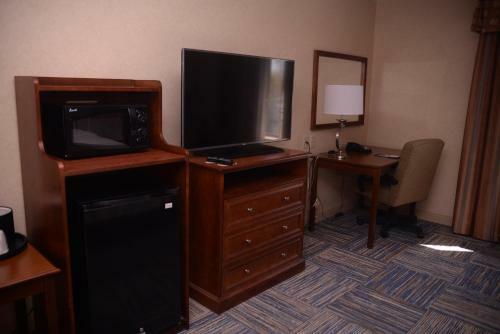 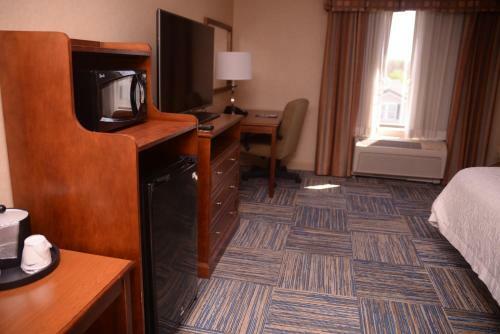 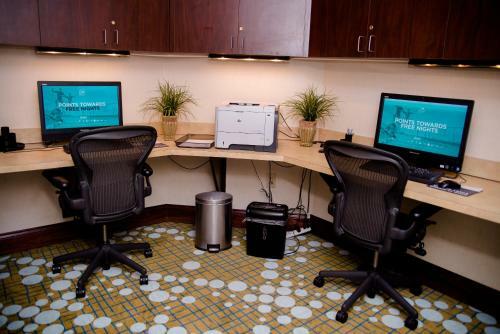 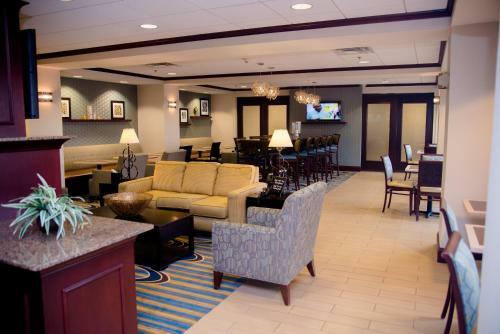 All of Hampton Inn Greenfield’s non-smoking rooms have seating areas equipped with plasma TVs. 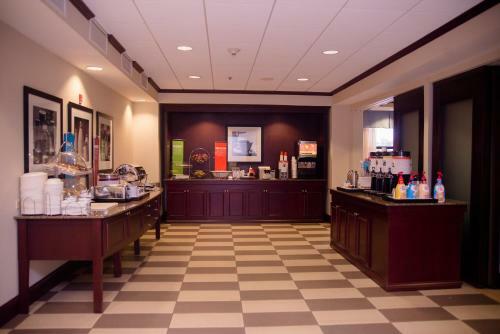 Tea and coffee making facilities and a microwave are fitted in each room. 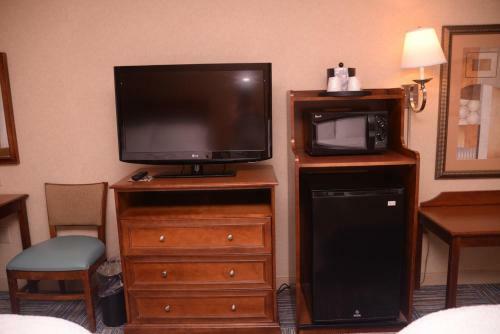 Room service is also provided. 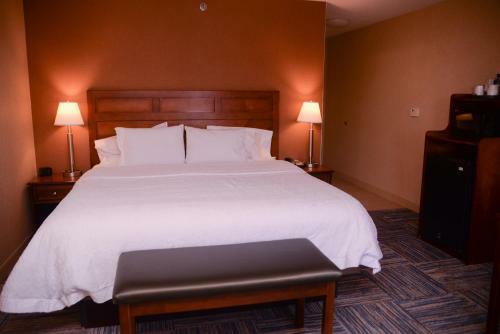 Attractions close to Greenfield Hampton Inn include Greenfield Country Club and Hancock County Fairgrounds. 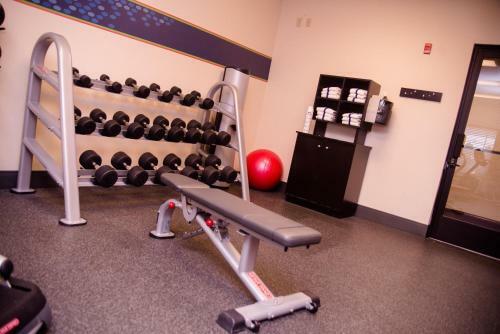 Both can be reached with a 5-minute drive. 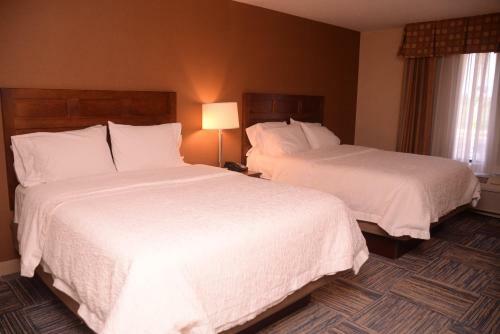 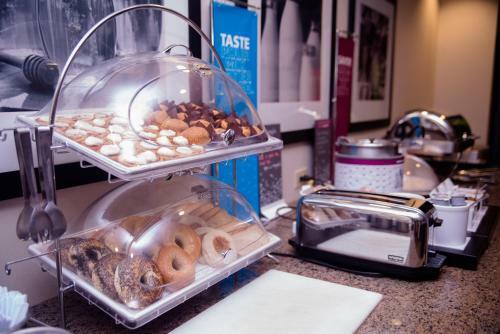 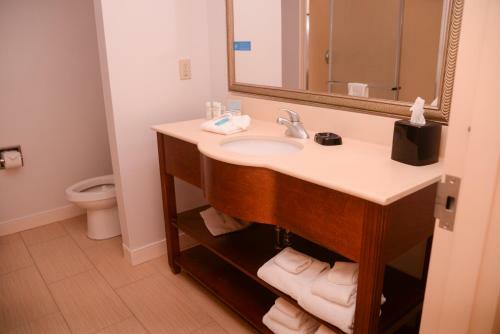 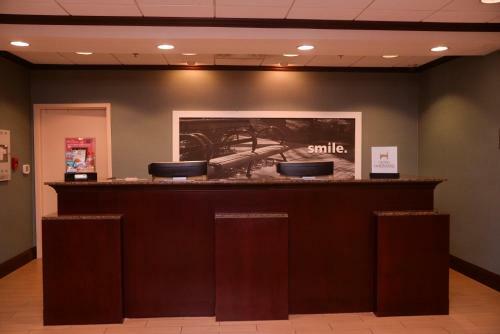 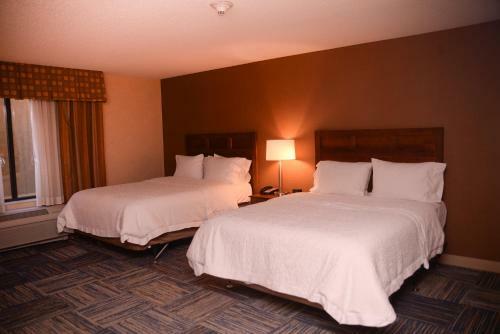 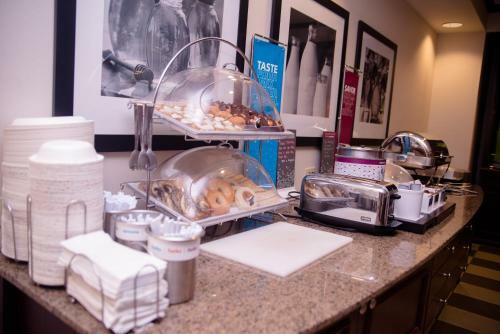 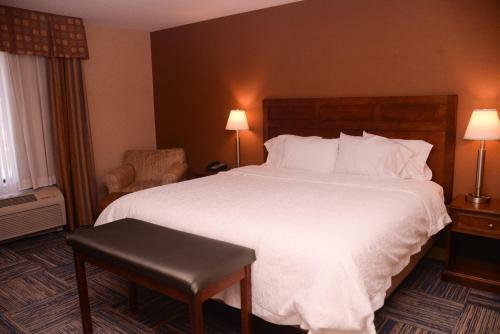 the hotel Hampton Inn Greenfield so we can give you detailed rates for the rooms in the desired period.